All-in-one Canon PIXMA MP260 with CISS - Inksystem - save money on ink! 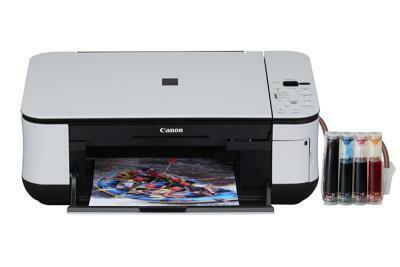 Buy All-in-one Canon PIXMA MP260 with CISS and make 30 times more quality prints for the same money! Pay only 0.04 USD for A-4 full color print! CompactFlash, Microdrive, Memory Stick, Memory Stick Pro, Memory Stick Duo, Memory Stick PRO Duo, SD Memory Card, SDHC Memory Card, MultiMedia Card (Ver4.1), and MultiMedia Card Plus (Ver4.1). xD-PictureCard ¹, xD-PictureCard Type M ¹, xD-PictureCard Type H ¹, Memory Stick Micro ¹, RS-MMC ¹, mini SD Card ¹, micro SD ¹, mini SDHC Card ¹ and micro SDHC ¹.